Performed in Mandarin and Cantonese with English and Mandarin surtitles. Admission for ages 13 and above. "...this is just me, me the way I write, the way I want to be to you...and you can tear me up and throw me out, or keep me, and read me today, tomorrow, any time you want until you die." Could the love of your life be just a letter away? Can writing a lifetime's worth of letters make you fall in love with someone whom you always thought of as just a friend? At age seven, Andrew penned his first letter to Melissa, telling her she looked like a lost princess. She wrote back to tell him to stop writing to her, and he was entranced. For the next 50 years, through hurt and disappointments, triumphs and failures, wars and marriages (to other people), they poured their hearts out to each other in their written exchanges, becoming each other's closest confidantes. 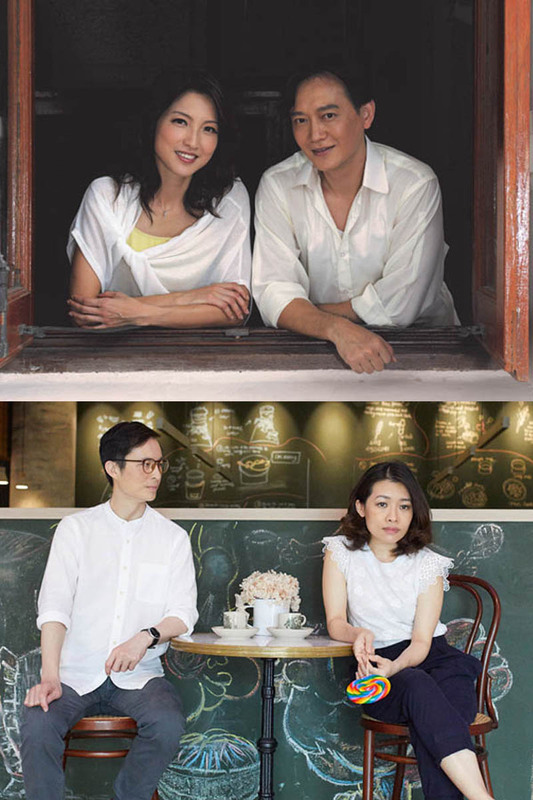 Presented in Singapore for the first time in Mandarin and Cantonese, experience romance the old-fashioned way as Love Letters explores the love and loss shared between a pair of childhood friends. Each heartrending performance features a different pair of actors—Hong Kong theatre practitioners Rensen Chan and Jo Ngai (who last moved audiences at Huayi 2015 with Travel with Mum), as well as Nelson Chia and Mia Chee of Singapore's Nine Years Theatre. Written in 1988 by American playwright A. R. Gurney, Love Letters was a finalist for the Pulitzer Prize for Drama, and has since been restaged countless times and adapted into Mandarin, Urdu and Russian.